This document describes the process that is used to realize a conceivable FPGA based digital design using HDL tools. It summarizes the most important and the hard to find information regarding the setup and utilization of these tools. VHDL is a hardware description language used in electronic design automation to describe digital and mixed-signal systems such as field-programmable gate arrays and IC. 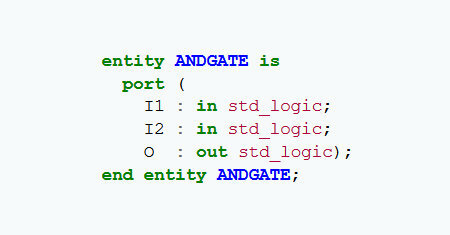 VHDL can also be used as a general purpose parallel programming language. The book provides students with a guide to help them develop the skills necessary to use VHDL for introductory and intermediate level digital design. You will also develop the skills required to implement more advanced digital design systems. VHDL is a language for describing digital electronic systems. This booklet gives readers a quick introduction to VHDL by informally describing the facilities provided by the language, and using examples to illustrate them.